Cattails have flat to slightly rounded leaves that twist slightly over their length and can grow to 5 or 10 feet in height. Flowers form a dense dark brown, cigar–shape at the end of spikes (called the catkin). Cattails can be partially submerged or in boggy areas with no permanently standing water. 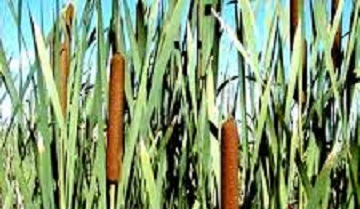 Cattails can be found all across the United States in wet lowlands and shallow waters. You can use the Cattail and Waterlily control products, Glyphosate 5.4 and a surfactant, to take care of cattails. You can learn more or purchase these products on our website.